I bought this from Japan back in 06. 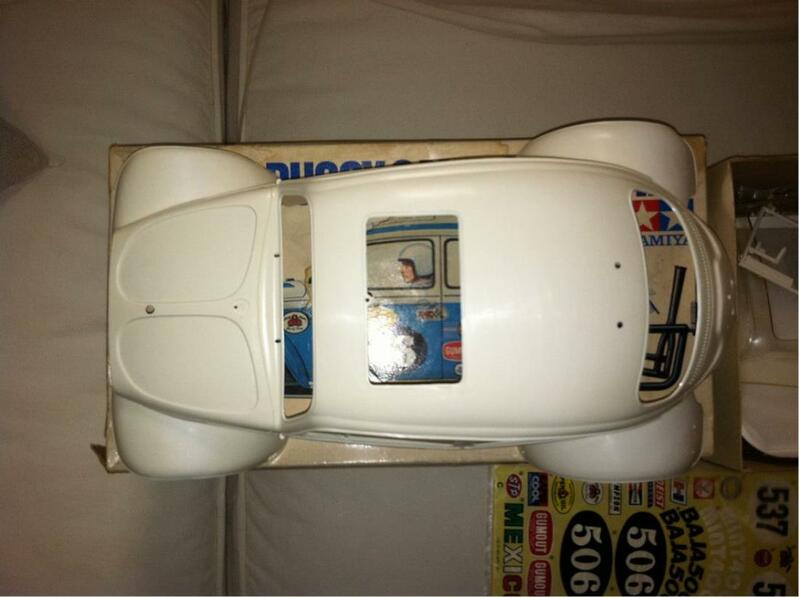 I've just started to maybe think about getting around to painting it for a shelfer. I've had everything out of the box a million times! Check out the box... the majority of the damage and brown stains are from when the cleaning lady ( not mine, but when this was stored at the in-laws house while we were moving) put the IRON on the box and the iron leaked! Ha! 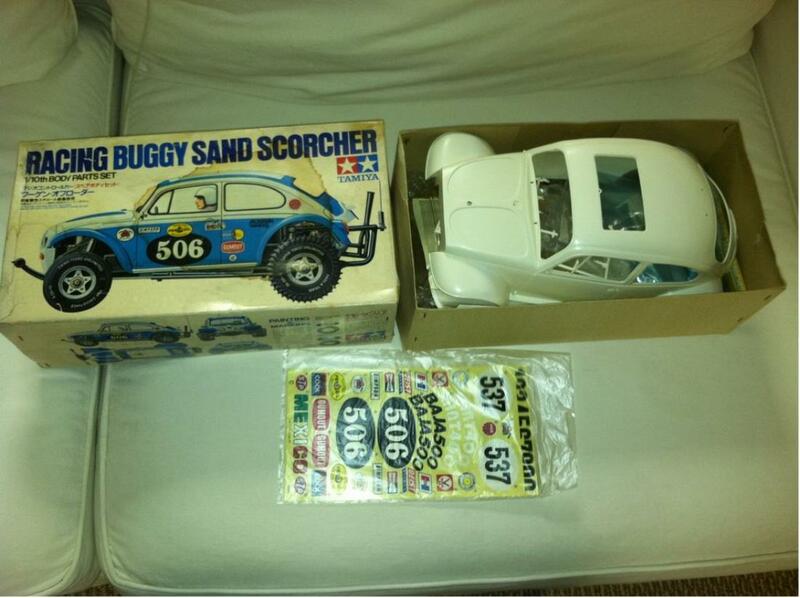 I couldn't believe it, but everything inside was fine and the box was never mint anyway! Also in the box are some door handles and wing mirrors that I picked up over time. 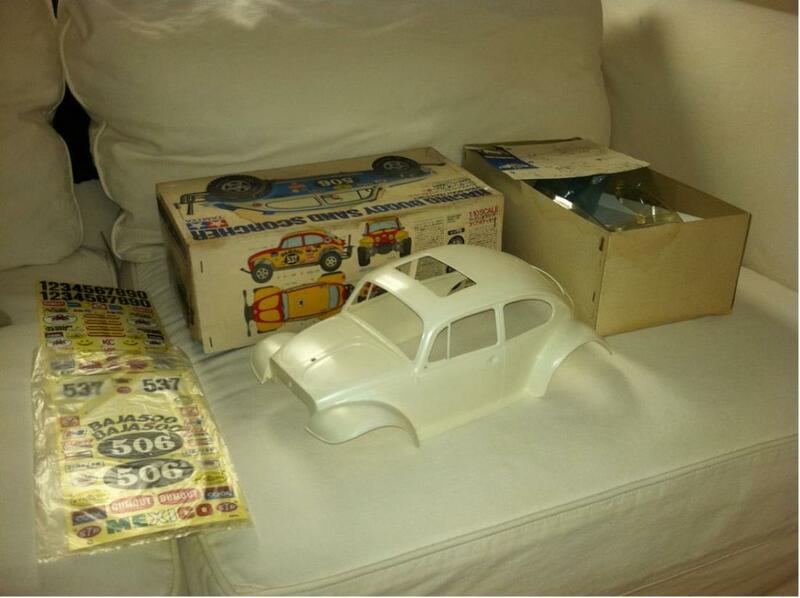 I feel fortunate to have a mint original bodykit and decals, despite a knackered box! Very nice, your story made me smile. 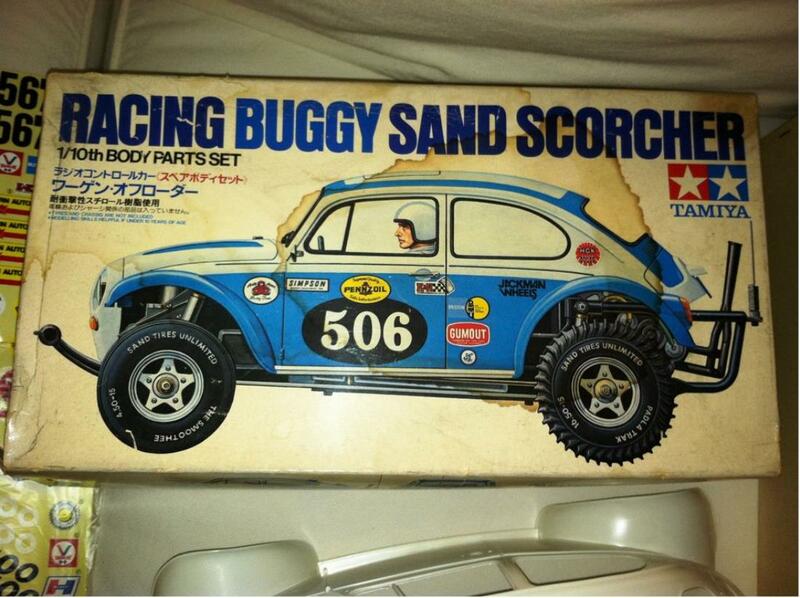 A great piece of Tamiya history and nice to have everything original. OOOO Very Nice !!!!! Stains add character !! The cleaning lady must have had a scorcher day!